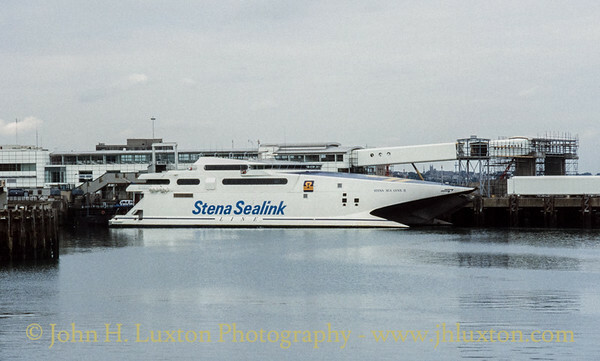 Incat 033 - STENA SEA LYNX II seen at St. Michael's Pier, Dún Laoghaire awaiting departure on her afternoon sailing to Holyhead. 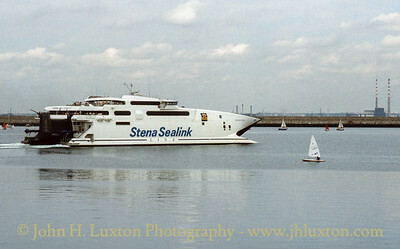 The vessel was on charter to Stena Line from Buquebus of Uruguay In the background the passenger gangways for the HSS STENA EXPLORER service due to start in 1996 can be seen under construction in the background. 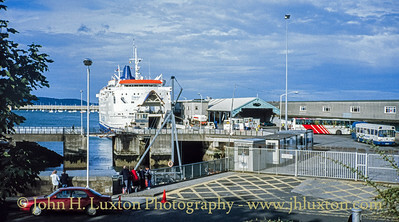 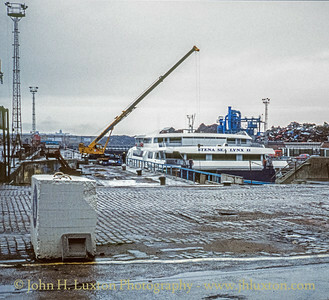 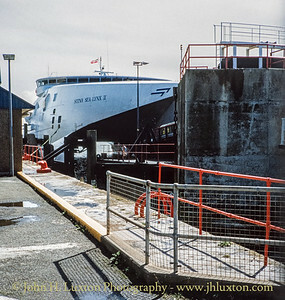 The inner harbour berth at Holyhead Harbour which allowed foot passengers convenient transfer to trains - a feature now lost with the remote berths out at Salt Island which require a shuttle-bus ride from terminal to ship. 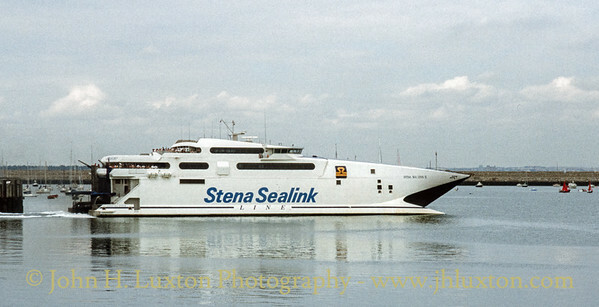 STENA SEA LYNX II at the Salt Island berth at Holyhead awaiting departure for Dún Laoghaire. 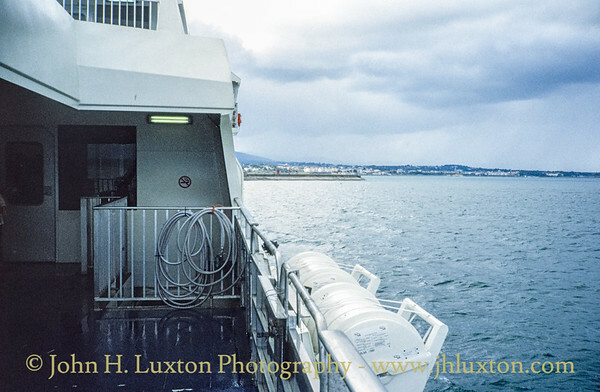 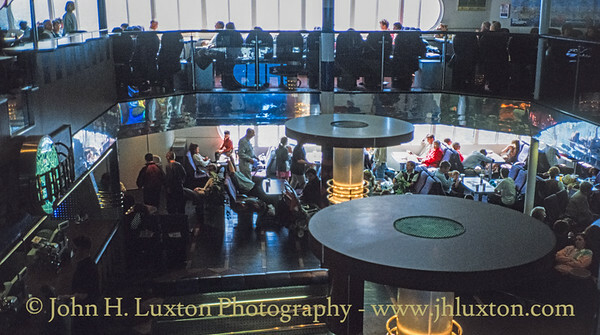 View from the lower outside deck approaching Dún Laoghaire harbour.